All I can say is AMAZING! When I walked in my door at Villa Coco I was amazed from the beginning. If I ever visit Bali again, I will be staying at Villa Coco! The staff is very friendly and accommodating. Arya at the front desk is very nice and friendly. He quickly learns your name and remembers who you are through your entire stay! My friends and I were fortunate to upgrade to the “big” 4 bedroom Villa prior to our arrival! We (6) were very comfortable in our house and enjoyed our private pool, kitchen, living room, and pool table! My favorite feature was the partially open air bathroom; I must have taken 15 showers in my 5 day stay. The property is a short 7 minute walk to the beach, which is very easy to find! Overall, the property is beautiful! Breakfast was included in our rate, so we just had to tell the front desk when we wanted breakfast delivered each day. They were flexible with the breakfast delivery, too. Typically, they begin breakfast at 7, but we had an early excursion, so the manager made sure that we got our breakfast by 6:45 so that we could be out on time. If you stay here, I highly recommend the cooking class. 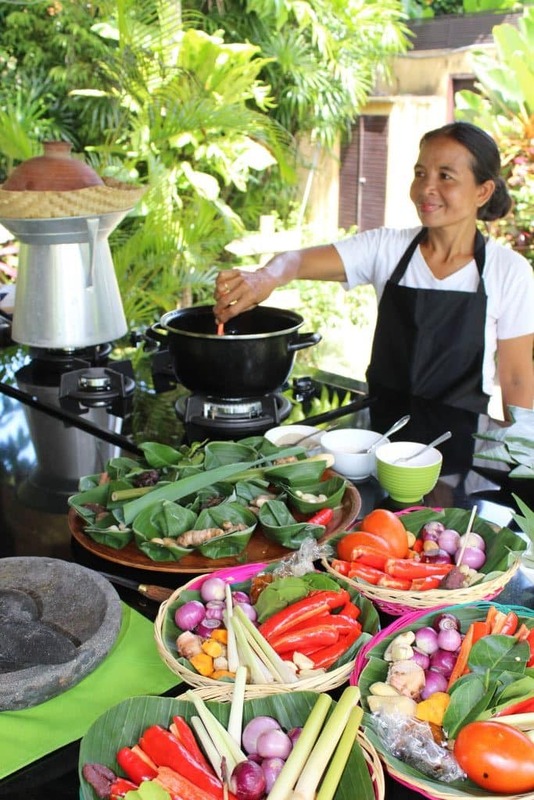 We had so much fun preparing an authentic Bali dish! Don’t pass this place up, it was phenomenal and it give you a chance to really embrace the culture! Second stay and just as good as the first time. Great location, friendly staff, clean rooms with plenty of space and comfort. Room service is excellent and there’s excellent shopping and spas just down the road. Lovely gardens and nice pool too. Just perfect. This is just a short but sweet note to say a huge “Thank you” to you and your amazing Team. We recently enjoyed our 2nd stay at Villa Coco and, again, everything was perfect! We enjoyed our week in the “Big Villa” with our extended family, none of whom had ever been to Bali before. Needless to say they were blown away by the friendliness and service given to us all. The Cooking Class and market visit was one of the high points – I think the ever-smiling Arya had a lot to do with that!! I wish I could bottle his laugh and carry it with me for those days when people need a smile!! Sandra at Reception was always super helpful and she always fussed over our little grand daughter, Harper, which was lovely. I didn’t meet Dion, but all emails from him were prompt and helpful. Thanks for extending our check out time to late afternoon which was such a help -especially as we had a toddler in tow! Again, congrats to you all and keep up the great work. We will definitely be back!! I have put a note on TripAdvisor to spread the word! Thanks very much for having us at Villa Coco. This place is amazing but what makes it so awesome is your staff. I cannot thank you all enough for the fabulous service, friendly and being so obliging every day. Always smiling, always happy! Bali is fantastic and I just wanted to thank you for making it such a fabulous holiday. With love and best wishes from Villa E, Toni, Lisa, Garry, Deb and Scott. I can’t say enough about our wonderful stay in Villa Coco. The moment we arrived we were welcomed like family. Claire the manager and Sandra and Arya the front office receptionists of Villa Coco was so accomodating with all our questions and needs. The service from just out the front from all staff has been wonderful. We had 6 fantastic nights staying in a 2 bedroom villa with a pool. The villa although new and modern, has an ambiance of “old Bali”. The rooms are air conditioned and the bathrooms are outside but totally private. The shower feels like rain. The lovely smiling housekeeping staff kept the villa and pool immaculately clean. There is also a turndown service where they will come in turn down the bed, put the AC on and spray for mosquitos, they also burn the mozzie coils in the outside areas. These little touches are special. The staff are all so happy and incredibly helpful. Happy hour is a must. Great value and great lychee martinis from Putu and Ketut. Room service food is very good and fast. We had the breakfast included where we chose from a variety of options for the package, a great selection! 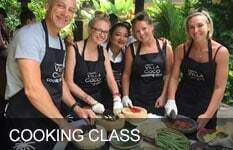 I experienced the cooking class at Villa Coco, I have to say this was a highlight of our stay here. The chefs were very informative and made it a hands on experience of fun. This experience on your holiday is a must. You learn and appreciate about local spices that some need to be cooked off first then using the the mortar & pestle to bring out the maximum Balinese flavours. I also had a one on experience with the chefs learning how to make their banana leaf bowls and also was personally shown in their back of house kitchen from Mandana how to cook one of my favourite sambals. The service and experience staying here has exceeded any expectations, everyone has gone above and beyond. I love Villa Coco and all who is involved. Can’t wait to see you on our next trip to Bali. Thank you for everything. To all of the wonderful staff at Villa Coco we’d like to say a BIG THANK YOU for looking after us this past a days. We have felt so special and you guys were all so friendly, and couldn’t do enough for us. THANK YOU. We have loved our stay at Villa Coco and will be sure to tell all of our friends + will come back soon. I and a group of friends had the absolute pleasure of staying at Villa Coco and unfortunately I’ve now been home in Sydney for 3 weeks. I have travelled to Bali a number of times over a long time and have stayed at some lovely places. However, my stay at your villas was the most pleasurable stay I’ve ever had not just in Bali but all over the world. Yes, the villas are beautiful and well situated making it easier to get all over Bali BUT your entire staff are what make the stay at your villas the most memorable. From the time you are greeted at reception till your very last moment of leaving your staff don’t just welcome you they make you feel like family they open their hearts to everyone! Where else can you stay where the smiles you are greeted with are as big as the grounds you stay in! There was nothing that all of your staff at any level wouldn’t do for us to make our stay a fantastic stay. It was obvious to us all that they are so happy working within Villa Coco because it resonated with every word spoken and every action taken! I simply wanted to say thank you so much to every person that made our stay so amazing. To Claire, a team is only as good as their leader and my god you lead from the front and Villa Coco are lucky to have you! Take care and there’s no guess where I’ll be staying when I come back to Bali. We have been to Bali many times (20). Out of all the places we have stayed Villa Coco by far has been the best. Aside from the accommodation facilities etc, we have found the staff to be outstanding. Not once did any staff member walk past with out speaking. They are all so well trained, polite and happy. Thank you for making our stay so lovely and we look forward to coming back in the very near future. From the moment we arrived at Villa Coco (which was about 2am) the staff were amazing. So helpful and eager to please. Any questions were answered and often followed by a recommendation (shopping/restaurants). We had a private villa which was serviced every day and looked like new each time. The turn down service was so nice, they would light the mosquito coils, turn the pool light on, the dinner area was set to the mood. The food is DELICIOUS, we were there for almost 2 weeks and had at least one of our meals there every day, some times we had all 3 of our meals there. My partner has been to Bali many times before but he was pleased most with this trip because of Villa Coco. Being greeted every morning with such a pleasant smile is beautiful. We look forward to returning to Villa Coco next year. We loved the privacy, the atmosphere, all details thought of and a perfect guest info information book. Good selection of food and reasonably priced. The staff are very friendly. Rooms are very clean and tidy, comfortable and the same goes for the whole complex. Perfect Wi-Fi…just a great place to unwind. We have been coming to Bali regularly for 42 years. Have stayed at numerous places, mainly 4 to 5 star and have found Villa Coco is up there with the best. Villa Coco is a small oasis, quiet, peaceful, relaxing and a great place to unwind. Any guest that was not happy with their stay at Villa Coco would be hard to please. We will definately be back to Villa Coco soon. All Staff are exceptional. I have been in the customer service industry for over 30 years. I have done countless courses on going the extra mile, and making people happy. All the staff at Villa Coco are exceptional. 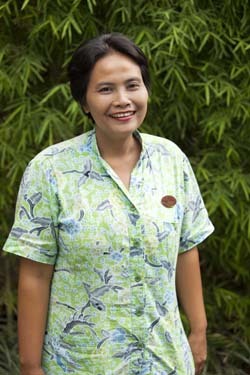 The garden staff, the maintenance men, the beautiful girls and boys who look after your villas. The in house food is fresh and fabulous. I had a in villa message that was wonderful. Every night they prepare your room with a turndown service. The wi-fi is quick. This place is a one stop heaven. Villa Coco have Villas that are very affordable, they are so nice you literally could spend the entire time just hanging out or if you can drag yourself away, the beach is within minutes and excellent restaurants at your doorstep. My husband and I can’t thank you enough for all your beautiful service, genuine smiles and positive energy. I wanted a quite, relaxing, do nothing holiday with my wife and 14 month old daughter and we hit the jackpot with Villa Coco. We stayed in a one bedroom pool villa, it was so secluded and tranquil we could of been anywhere. I didn’t want to leave the villa, and didn’t really have too, with all meals delivered to the villa, massages and the pool. (plus the wifi was fast). There was talk of the mosquitos being a problem and I was expecting them to be in numbers that would blacken the sky, but I was wrong, I didn’t have to put on mossie spray once, due to villa coco teams regimented control measure’s. All the staff were so helpful and super friendly I am still not sure if my daughter loved them more or they loved her more. Every request was done straight away, even one to oil the door hinges so our daughter would not wake once we put her to bed!! I would be back there I a second if I could. Thanks for the enjoyable stay guys. 5 star villas…3 star price! It was our first trip to Bali and we booked a one bedroom villa but it wasn’t appropriate being 7 months pregnant and having a one year old walking up and down the stairs. The staff were fantastic! They moved us to a better suited room as soon as we asked. The rooms were always clean and breakfast was delicious. Villa Coco is in a great position close to the beach and plenty of local shops and restaurants to eat at. I really can’t speak highly enough of this place!!! Beautiful, quiet and relaxing. Perfection in every way possible. Like Wow what can I say. From the time we stepped into Reception to the time we left everything was just perfect. The staff are out of this world they have succeeded with the knack of being very friendly courteous and helpful without being in your face and without any fakeness at all. We stayed in Villa 3a which is two bedroom Villa for the first 3 weeks, one bedroom is a studio apartment with a huge bedroom and bathroom and private entrance with a connecting door from the courtyard to the main Villa with pool. This was fantastic and would be great for two couples. We the stayed in Villa 8 a which again was two bedroom with private poo!for the Kat week ( at our request and just because we could. The bar and pool area was fantastic and we enjoyed cocktails by the pool most evenings with Ketut bar man and Claire the manager. 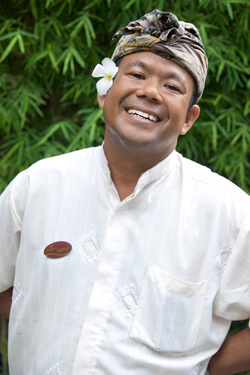 Both Ketut and Claire were very friendly and helpful and we had many a laugh with them. The location is superb with the beach being no more than a 10 min stroll and believe me I walk very slow others could do this in 5 mins. There are shops galore, excellent restaurants and bars, massage places, 7 Eleven type shops which unlike in Australia are very well priced and the supermarket Bintang is about 15 mins walk ( my style) but less for the fitter and less weighty lol. Do yourself a favor and stay here you will NOT be disappointed. We stayed here for the second time recently in a 2 bedroom garden apartment. It was extremely spacious and homely and incredible attention to detail was evident. It is a real oasis of peace and quiet and you may never want to even venture out into the bustle of Seminyak once you start relaxing. I enjoyed wonderful relaxation by the pool, fabulous cocktails by Ketut and superb food (Beef Fajitas incredibly tasty and generously portioned and Greek Salad wonderful). I felt so safe and well looked after here that I was able to go out for an hour or so and leave my 12 year old boy at ‘home’ (yes, it felt like home in all the right ways). The grounds are so well looked after and the staff are genuinely caring and very gifted in making people feel welcome and at home here. They do an amazing job of this day in, day out, and should be very very proud of their exceptional service. Wonderfully kind and caring people. It makes such a huge difference to feel so welcome and we are definitely planning to come back. Can’t think of a better place to stay and it’s SO convenient for when you do want to go out. What a treat to have a turn down service in the evening and also to be able to choose where to have your meal, in the villa or down at the pool. And to be able to order from the comfort of your sunlounger-wow! I’m in the process of confirming our stay for 2-7 Jan in a 2-BR pool open-living villa. 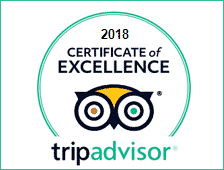 I’ve just been reading some of the reviews on Trip Advisor about Villa Coco and felt that I just had to send an email to say I hope that you don’t get too disappointed by the negative reviews. Personally, I think the people that write the negative reviews are probably the kind of people that are just basically unhappy individuals and need to complain about most everything in their lives. We – my wife and two children – have stayed at Villa Coco a number of times over the years, always in a 2 BR garden villa. I can say without exception that we’ve just had a ball from the moment we walked into the villa, and we always hated to take that long ‘last’ walk down to the front desk to check out. You’ve got a jewel of a place, and much of the beauty is that it is what is considered as “5-star” today – which usually translates into colorless, sterile, humorless, textureless. In our minds, the Villa Coco is on par – as far as Balinese experience – with one of our other favorite places, Poppie’s Cottages in Kuta. One of the biggest assets VC has – and it has many – is its staff – capable, friendly, warm, welcoming, helpful – genuine is the word. But it’s hard to beat the feeling of walking into our own private world after a day of beaching, to not worry about tracking a bit of sand in with us, to shower in the open-air bathroom, and just relax listening to the sounds coming into the villa, but still being isolated from them. Don’t let anyone discourage you – you’ve got a superb facility, stay the way you are, you’re doing a great job! Dear Villa Coco Just a short note to express our thanks for a wonderful holiday staying at your Villa’s. The rooms were lovely and our small children had a great time playing in the rooms and swimming in the gorgeous pool.as did us grown-ups! It certainly was a relief to come back to Villa Coco after our journeys around Bali, so relaxing and peaceful. Great Location as well- the wife, kids and I walked to the local beach every night for dinner in a different restaurant each time and they were all good! So much action and life down at the beach and what a sunset! I would thoroughly recommend your Villa’s to anybody. I wish you luck and look forward to seeing you all again soon. After reading varying reviews I was a little apprehensive about Villa Coco, however as soon as we arrived at midnight I new we had chosen the right place for us. Staff were very attentive, our one bedroom villa was great, it was big enough to have a game of cricket in the gardens (C5). It was very quiet, and close to everything. The lane way into the Villa was not an issue, (it is Bali), we often came back late at night and the lane was well lit. It is so nice being able to shop a few minutes away and be in the hussel and bussel of the streets and came back to a lovely quiet peacful villa. Although we didnt get the chance to have happy hour at the community pool, there was always a group of holiday makers having lots of fun. I think this is the uniqueness of these villas, as there is a place to meet other guests around the pool and bar, and then you have your own private little piece of paradise. Will definately stay again. First of all to the negative reviews about Villa Coco. Get your heads out of your bums!!!!!! This is a beautiful place to stay in Bali. Every place has it’s little problems if you look hard enough or allow them to bother you. Silly complaints about too many ants in the outdoor tropical garden living areas make me shake my head !!!!! Think about where you are !!!!!! Of course you’ll have to share your experience with some sort of creatures in a place like Bali. It’s part and parcel of the whole thing. Now to how much we enjoyed our stay. We stayed in a 2 bedroom pool villa (C2). The villa was very spacious and well appointed. The pool was beutiful and refreshing after a hot walk through the shopping district less than five minutes walk away. The bedrooms are vary spacious and modern with great outdoor bathrooms and showers. We’ve stayed in Villa’s in Bali before but none have serviced the rooms like you are in a hotel. Breakfast is served to you in your own Villa and the staff even come back later and clean everything up!!!!!!! then make your bed and change the bed linen every third day with chocy’s on the pillow !!!!!!!!!! What more could you ask for ???? The staff are extremely pleasent and attentive, happy to help in any way they can. Even though you are only five minutes walk from the shopping district of Legian/Seminyak it is very quiet. The only downside being the disco down on the beach that you might just hear early in the morning on the weekends. The slight hum of the air con drowns most of it out though. We will definately stay at Villa Coco again and I strongly recommend it !!!!!! I have now been coming to Villa Coco for over fifteen years. I am making an effort to write this short note to make special mention of our stay over the years. Having been an owner/operator of hospitality venues for many years, I hope you appreciate when saying how wonderful your staff are. They are Villa Coco and the reason we return. I believe you are extremely fortunate to have such wonderful staff and hope you will pass on the essence of this note. Just a quick note to thank you all at Villa Coco for a lovely holiday in Bali. We thoroughly enjoyed staying with you, we stayed in the 1 bedroom pool villa, it was gorgeous, such a wonderful, quiet haven to come home to after the business and hustle and bustle of the streets of Bali. We had our holiday to celebrate our 25th wedding anniversary and loved every minute there. The meals we stayed in for were great. Wayan and Arya and all the desk staff were so lovely, we miss them. Thanks again, we will be back one day. Just spent one week in Villa Coco and thoroughly enjoyed the time. It exceeded our expectations. It is like an oasis. We stayed in a garden villa and loved the authentic design and appointments. The bottom floor living area is open style and huge creating a very holiday feel and the upstairs bedroom is air conditioned, great bed and ensuite! The garden bathroom and shower is fantastic after being out walking, swimming, surfing, shopping or whatever. The staff were extremely helpful and busy making things as pleasant as possible. We ate breakfast every day in the villa and also a few dinners and the food was very good and service prompt. Can’t say enough… thankyou Villa Coco. We just spent 8 days in the four bedroom villa and this was the best value we have had on a holiday. The villa is so spacious and so private. There was building works happening but we could only hear it now and again and it did not bother us. This villa was truly fabulous and good value for the $$$$. We will be back again next year. 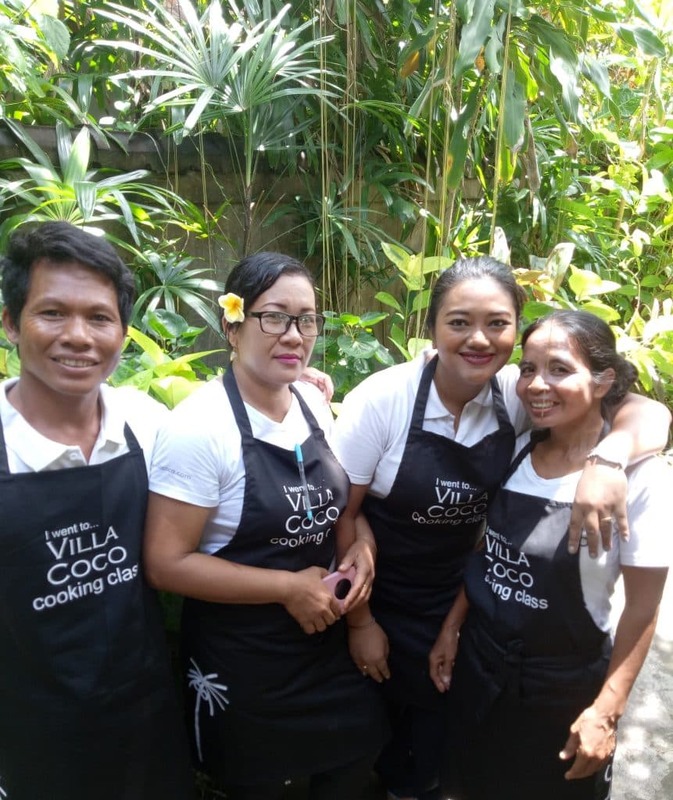 Dear Villa Coco Staff, We would just like to thank all of you personally for making our stay so enjoyable. It has been the best place we have stayed on our trip to Bali. Thanks once again and we hope to see you in the future.